Temporary Canada Visas are issued to enter the country for a short period of time, usually 6 months or less. This article will go through the relevant information on Temporary Canada Visas and their details. 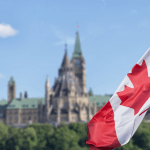 What is a Temporary Canada Visa? The Temporary Visa for Canada is a stamp on the applicant’s passport that allows them to try and enter the country for a short period of time, usually 6 months or less. When you apply for a Temporary Canadian Visa, you obtain what is called a Temporary Residence for Canada. The Temporary Visas allow the holder to enter Canada and complete their purpose of stay. After the time that they have planned to stay in the country is over, they must return to their home country. 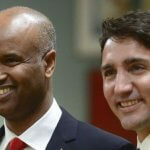 The Temporary Visas do not allow the holder to overstay illegally without going through the necessary procedures of changing status to a Permanent Canada Visa. The Temporary Visas can be given for only the period that the applicant is planning to stay or longer. If the Canadian Consulate believes that you have a strong case and that you will not break the visa rules, they might give you a visa with a very long validity, usually until your passport expires. However, even though you have the visa for such a long time, you are only allowed to stay for 6 months at a time and then return to your home country. 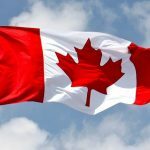 What are the Temporary Canada Visa Types? Dual Intent Visa – is the visa for those who want to stay in Canada temporarily, but intend to also apply for a permanent visa. A student visa for Canada is given to those who have an admission from a Canadian university to complete their studies. If you are going to Canada to study for less than 6 months, then you can only get a general visa, but for more than 6 months of studies, you will need a Student Visa. Temporary Foreign Worker visas are given to those people who have a job offer in Canada and will work for up to 6 months. To get this visa, the person must present a valid job offer letter from an employer and qualify for a temporary visa. The Electronic Travel Authorization (eTA) is issued to those people from countries that have a good relationship with Canada and do not need to apply for a visa. 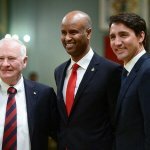 The eTA allows these people to apply quickly and enter Canada without going through too many procedures. What are the Temporary Canada Visa Requirements? Besides the General requirements, the visa specific requirements are then different for any time of Temporary Canada Visa that you apply for. For example, you can have an invitation letter from family or friends from Canada if you are applying for a Visitor Visa or Super Visa. You must have proof of your English Language Proficiency and a letter which states how you will pay your tuition and living costs if you are applying for a Student Visa. If you are applying for a Temporary Workers Visa, you must then submit proof of your medical examination, a valid job offer letter, as well as a Labor Market Impact Assessment. Each of these requirements and more detail is offered on the guides on how to apply for any of the visas. Despite the type of visa you are applying for, you must fulfill all the requirements, otherwise you will either be asked to submit additional proof from the Canadian Consulate or they will reject your visa application. How to Apply for a Temporary Canada Visa? Find out if you are eligible by going to the Canadian Consulate website here and going to the tabs Immigration -> Visit/Immigrate/Work/Study or Others -> Find out if you are eligible. Complete the questionnaire and wait for the results. The results will give you a reference code which you must save and use for your application. With the reference code, you will also get instructions on how to apply in detail, which you must follow. Create an account either using your bank information or the Government of Canada login (GCKey). Start and complete the application by filling out all the necessary forms and paying the fees. Check your account frequently to see whether there are any updates. If you were approved for the visa, you will see the notification there. If your visa was approved, mail your passport and processing fees to the Consulate according to their instructions.